Provide comfort for the family of Artis Cross with a meaningful gesture of sympathy. 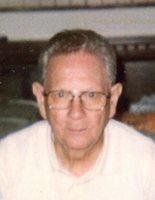 Cross, Artis C. was born on April 6, 1932 in Winfield, TN and he passed away on Wednesday, March 6, 2019 at the age of 86 years. Artis was preceded in death by his loving partner, Joane Walters. His parents, Pearl (Douglas) Cross and Shafter Taft Cross, his three brothers, Bill Cross, Harold Cross and Earl Cross, three sisters, Irene Smith, Grace Kimbler and Jane Marshall, One step-daughter Annie Walters and one step-son, Joe Walters. Artis is survived by his daughter Teresa Ward and her two children, Steven Greene and his wife Amanda, Suzanne Heitfield and her husband Travis. One step-son, Chuck Walters and his wife Renee, three step-daughters, Carole Henderson, Thelma Zint and Kim McDonald. He is also survived by his two brothers, Carmel Cross and his wife Anne & Dewey Cross. One sister, Lorie Roth and her husband Paul. Also survived by a host of family members and friends as well as special group from Deim and Wing/Ris/Johnston Paper Company where he was employed for 50 years. Visitation Sunday, March 10 from 2 pm until time of funeral services at 4 pm at the Neidhard-Minges Funeral Home, 3155 Harrison Ave. (Westwood). We encourage you to share your most beloved memories of Artis here, so that the family and other loved ones can always see it. You can upload cherished photographs, or share your favorite stories, and can even comment on those shared by others.